Roller Blinds give a subtle feel to rooms whether used with curtains or alone. They are available either with or without a decorative tassel/acorn finish. 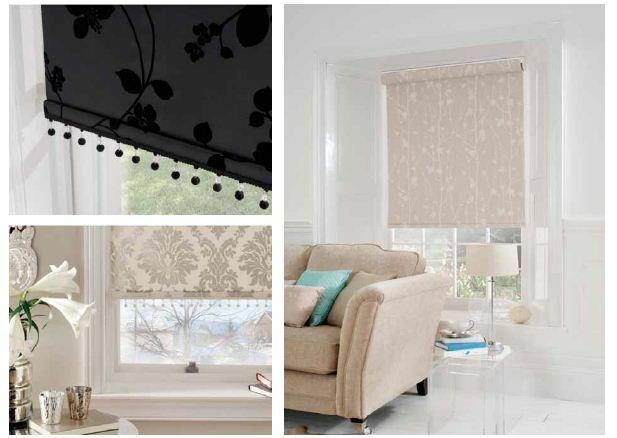 The suppliers that we use are Eclipse, Louverlite and New House Textiles and the roller blinds are all produced in the UK. We have the facility to turn most fabrics into a Roller Blind. This is done by laminating your selected fabric and attaching it to a Roller Blind track.